Illinois' Isaiah Martinez starting off strong against Penn State's Jason Nolf during the wrestling match vs. Penn State at Huff Hall on January 23, 2016. Despite a strong effort, the No. 14 Illinois wrestling team was not able to take down No. 4 Ohio State. 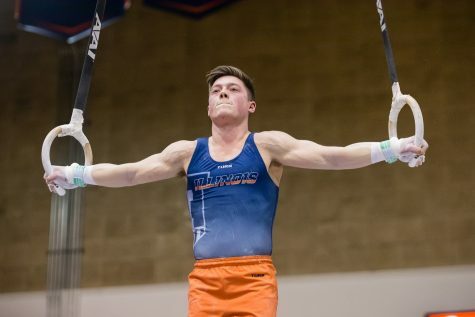 Illinois wins came from freshman Travis Piotrowski, Kyle Langenderfer, No. 1 Isaiaah Martinez and Zac Brunson. 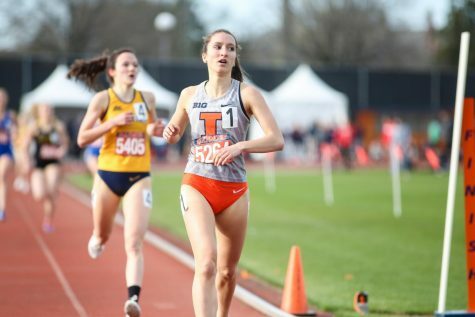 However, that would not be nearly enough, as the Illini fell 29-18. Head coach Jim Heffernan said in a release that his team competed well, but that they would need to get to another level to beat a team like Ohio State. 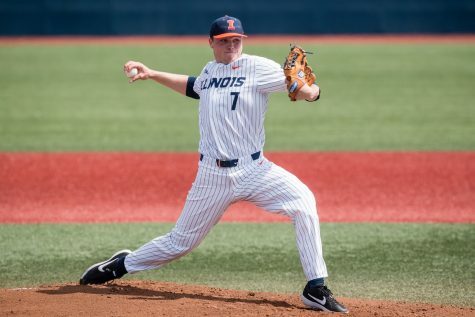 In the match, the Illini actually took an early lead thanks to Piotrowski’s shutout of No. 12 Jose Rodriguez. Heffernan was happy with Piotrowski’s performance, and said that his energy was huge for the team. Despite the strong start by Illinois, Ohio State rebounded quickly and answered with 13 straight points in the next three weight classes highlighted by a match between Illinois’ No. 4 Zane Richards and the Buckeyes’ No. 2 Nathan Tomasello. But, even with anticipated matchups such as No.2 versus No.4, the Buckeyes were able to go on a 13-0 run between all three matches. The other two matchups in the Buckeye run were Mousa Judah versus No. 14 Luke Pletcher, and No. 5 Micah Jordan versus Eric Barone. 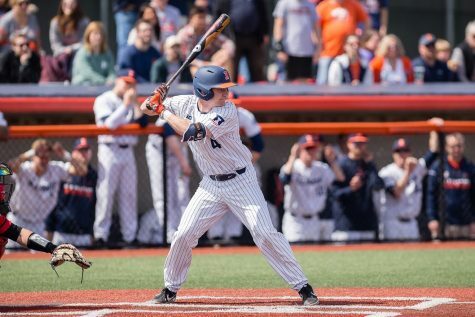 Following the run, the Illini trailed 13-4, but it was not long before they responded with a run of their own. Langenderfer, Martinez and Brunson combined for a 14-0 run by collecting victories and bonus points in each of their respective matches. Heffernan seemed very happy with Langenderfer’s performance, saying that he has been competing hard lately and that he’s shown strong improvement. 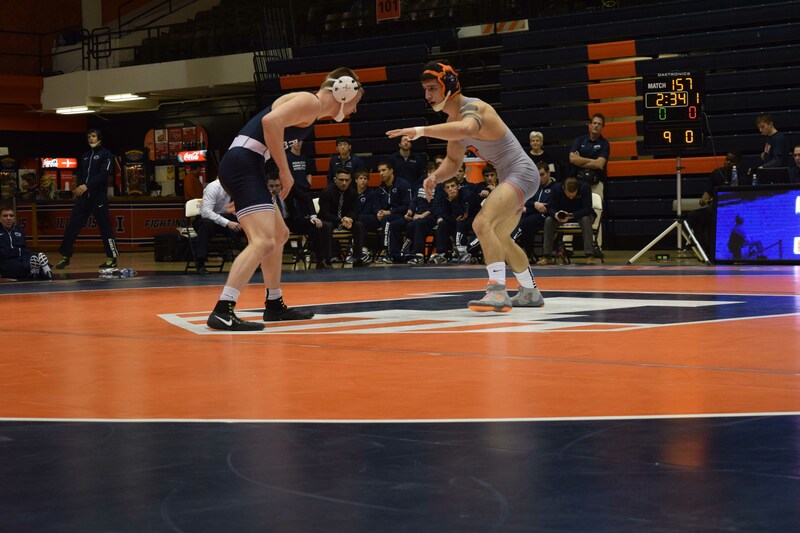 Next, Martinez put the Illini in the lead after a convincing 22-7 win over Ohio State’s Cody Burcher. Then, Brunson extended the lead even further — all the way to 18-13 — with his 19-8 victory over Justin Kresevic. Despite regaining the lead, this was the last time the Illini were ahead in the match, as the Illini would soon get back on top. 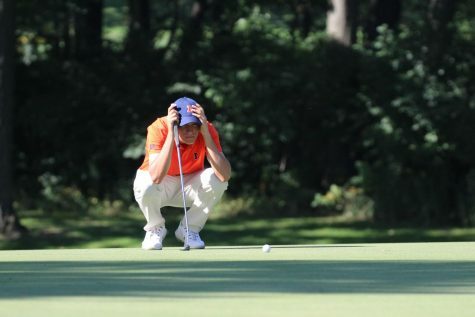 Losses in the final three matches led to Illinois’ demise, which included a loss by No. 13 Emery Parker. With the loss, Illinois has fallen to 37-34-1 all time against the Buckeyes, while losing each of its last four matchups. This also marked Piotrowski’s second ranked win on the season and Brunson’s 20th win of the season — just nine short of his season high which he set in 2014-15. 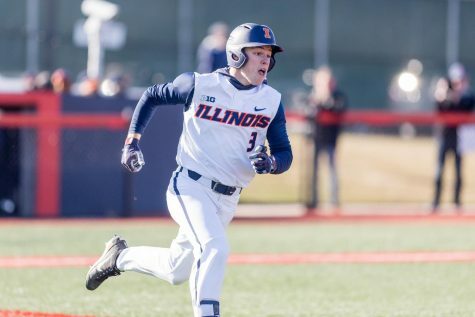 Following the loss, Illinois will host No. 13 Michigan on Jan. 20 followed by Northern Illinois on the 22nd.